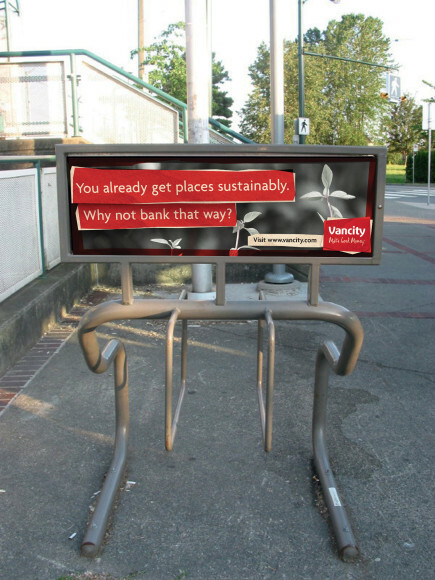 THE CHALLENGE: To reach a younger audience and get them to open a bank account with Vancity. Many bank accounts are opened by parents for kids when they are young. People often stay at that same bank because it’s easy. 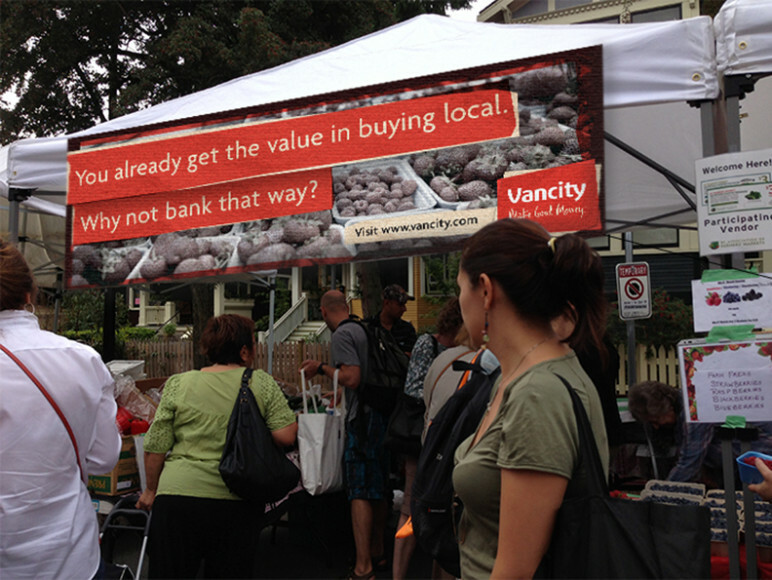 Vancity is a credit union and wants people to see the value in local. THE IDEA: as a team we came up with the insight integrating peoples values. In Vancouver this demographic is recycling, shopping at farmers markets, and making sustainable choices so why are they not banking with the same local care? We placed this question in locations the target market went to like local cinema, farmers markets bike racks etc. to get people thinking about it. 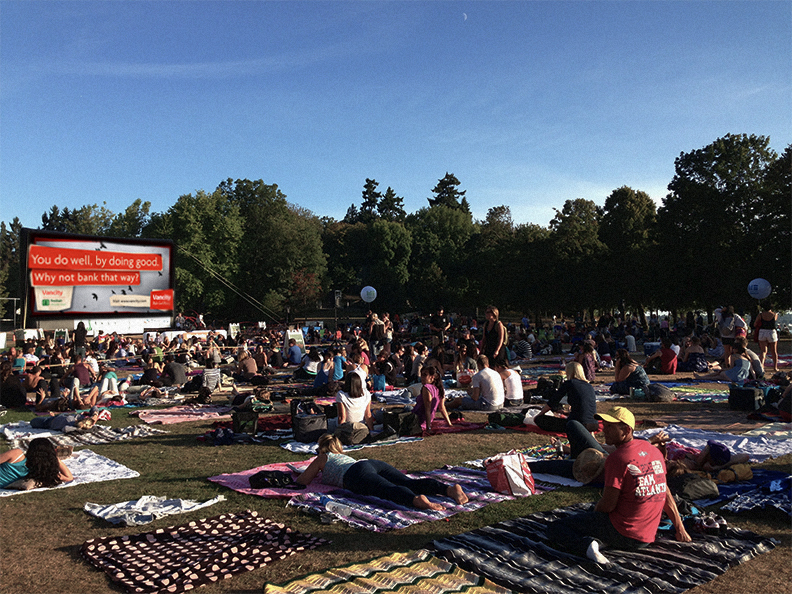 We made light of all the support Vancity puts into the community with creative T-shirts and Tents at community events. 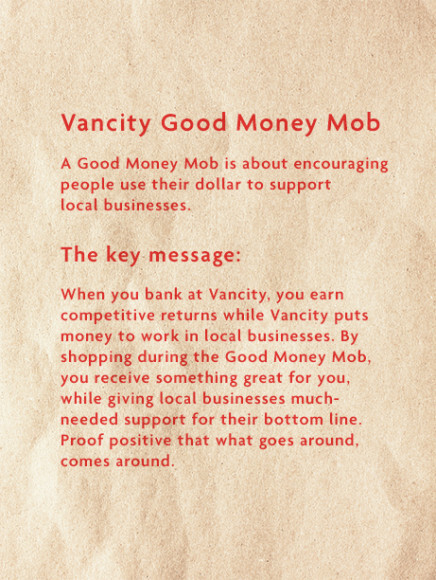 We also developed the idea of a Good Money Mob as both a live model of how Vancity operates and to encourage the community to use their dollar to support local businesses. Small businesses gained exposure, more business and local encouragement. How a Good Money Mob works? 1. People vote from 3 local business choices. 2. Once the local business is chosen we give them a heads up and set a date and time. 3. 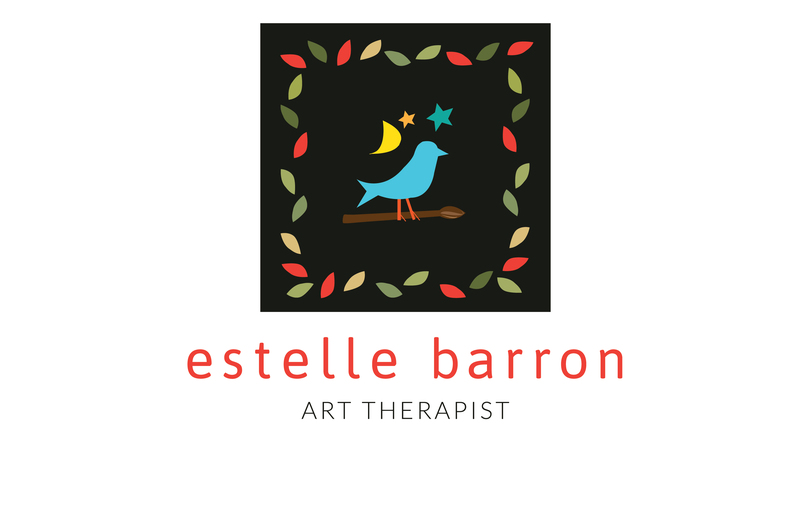 We use Blogs, Twitter, Facebook and other forms of social media to create excitement and participation. 4. The community mobs a the chosen local business. 5. Everyone is happy! Then we do it again with another local business. My role on this project was Art Director. I was part of the team that collaborated together to think of the idea and collectively figured out how to integrate all the media to effectively and engagingly deliver the brand strategy to the right people. 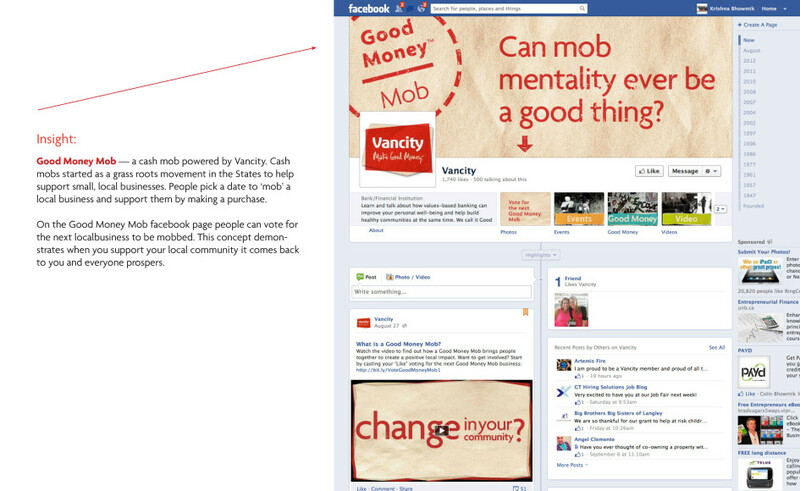 So that Vancity could acquire new members from a new demographic. The campaign is a huge success story that I learned a lot from and am happy to see the the brand grow with so much integrity. Created as a collective while working at Wasserman and Partners.